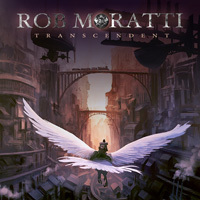 Fresh off his new and recent gig with Ged Rylands' (ex Ten) Rage of Angels project and new album The Devil's New Tricks, versatile vocalist Rob Moratti returns with a new solo album Transcendent. 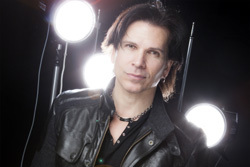 The smooth and strong vocalist provides his voice to another platter of AOR melodic hard rock. Not unlike 2011's Victory, this album also has the capacity for the music to overshadow principal performer. More than a few songs, like I'm Back, Midst Of June, or Lost And Lonely, find Moratti's voice heard but not quite above and carrying the song. I've heard this so often over the last several years with many vocalist solo albums. It makes me wonder what's happening. Moratti produced, but the mix and mastering was done by another. Mostly, my ears adjusted to the pitch of his voice and I carried on. I think more than anything I noticed was Moratti's affinity for a Journey inspired sound. He credits the band and vocalist Steve Perry for his passion for music. Songs like Lost And Lonely, Within You Eyes, Baby I'm Your, and especially Edge Of Love have that Journey aura. A natural melody. Clean riffs, and sharp guitar leads. That nice touch keyboards. Effortless rock groove. There's no doubt: Rob Moratti is in his element. 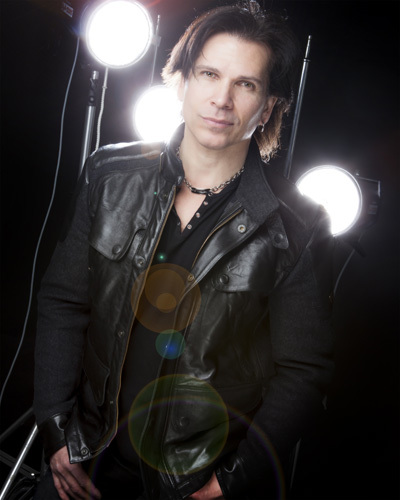 Classic AOR melodic rock is his venue and he always shines. Transcendent is another solid, consistent, and entertaining album from this talented singer. Recommended. FYI: At the time of this review, there was no video of a song from the album. There's no doubt: Rob Moratti is in his element. Classic AOR melodic rock is his venue and he always shines. Transcendent is another solid, consistent, and entertaining album from this talented singer.